Below is the Art League of Fort Myers' Call to Artists for the Exhibition Year. Please review the Submission Guidelines / Prospectus for each show carefully. All shows open on the first Friday of the month; coinciding with Art Walk. 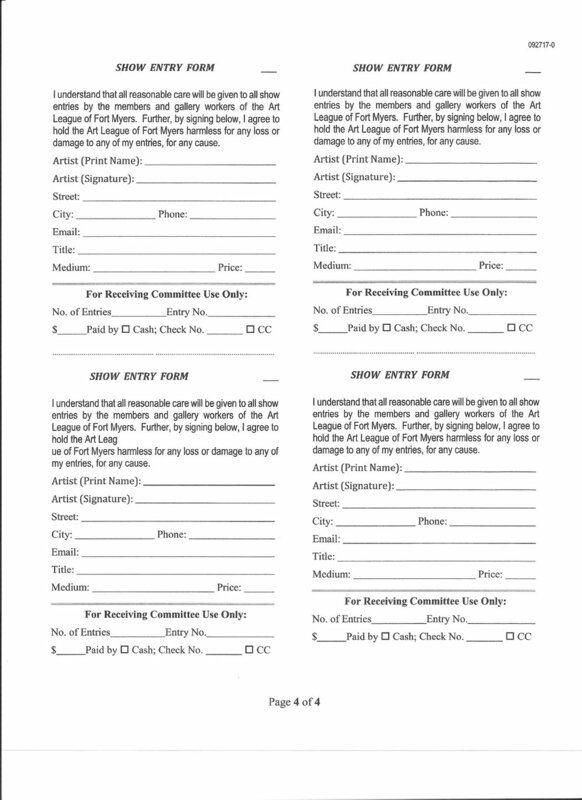 You may print this Entry Form ahead of time and bring with your entries to Receiving.